The cast of Ryan Murphy’s American Horror Story is kind of like a giant ball of glue, rolling down a hill on a busy city street: It’s confusing, hard to look away from, and, once you touch it, you’re stuck there for the rest of your life. 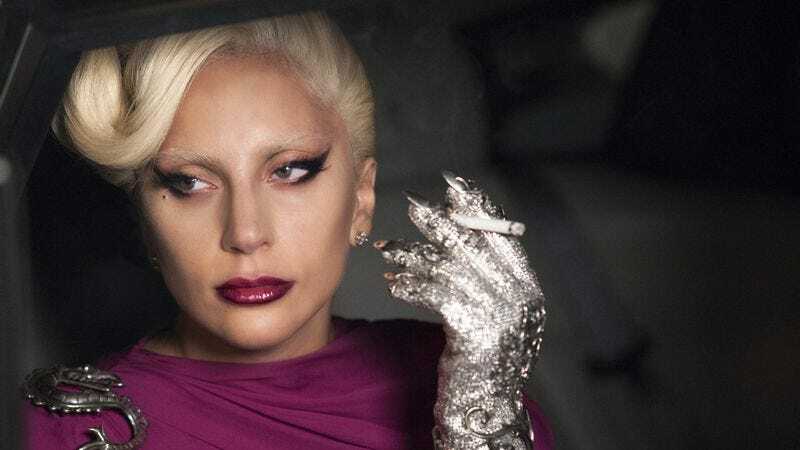 So it’s not entirely surprising to hear that American Horror Story: Hotel star Lady Gaga—who recently won a Golden Globe for her vampish portrayal of the villainous Countess on the show’s just-concluded fifth season—will be back for its sixth, jammed into the ball next to Sarah Paulson and Kathy Bates. American Horror Story returns in the fall.